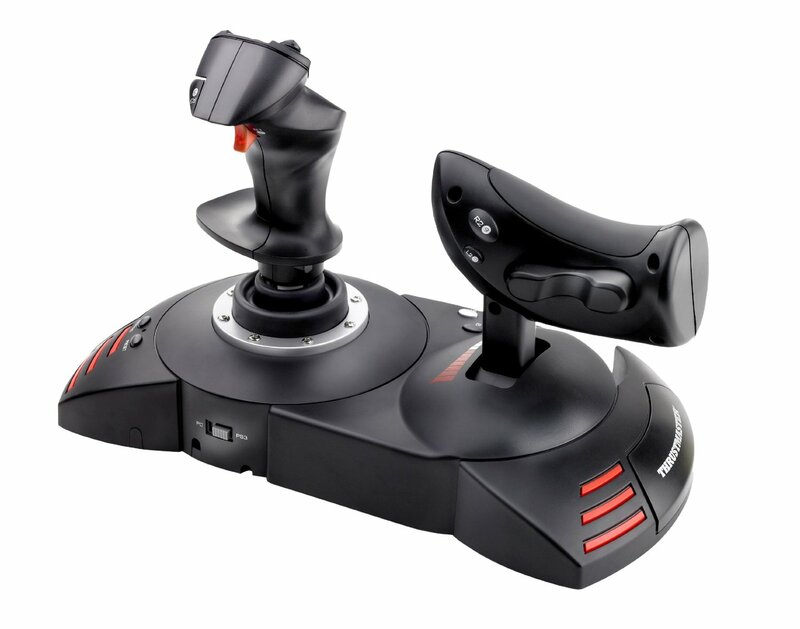 Barring a few tracking issues, on the whole this is perfect for those looking for complete control and customisation in PC gaming. With an overwhelming amount of customization options and stylish looks, this should have been one of the best gaming mouses we have ever used but the few tracking issues we experienced prevents it from being the creme de la creme of gaming mouses. 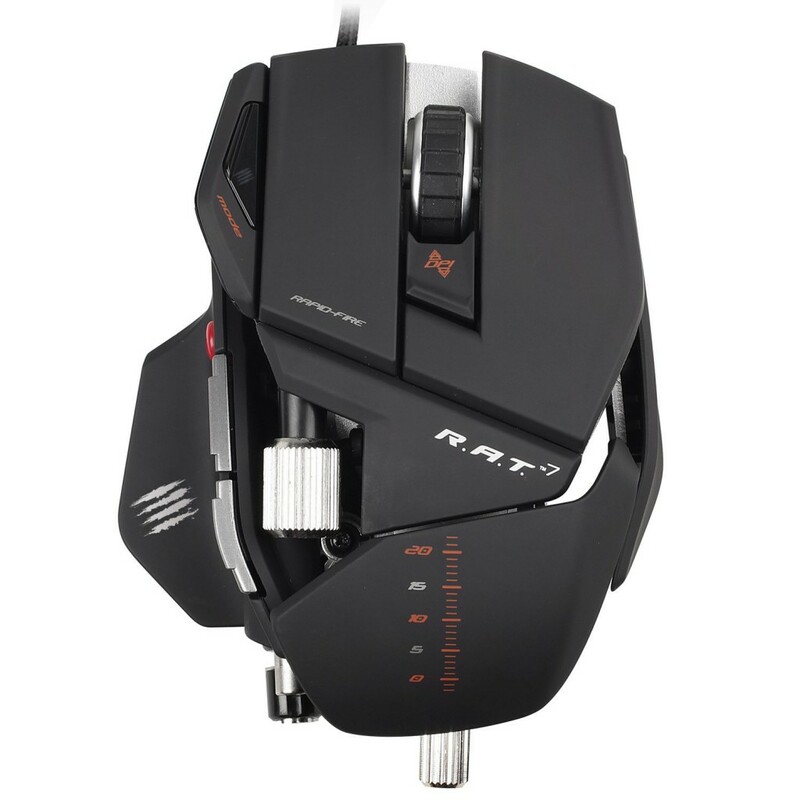 By far the most appealing factor with this mouse is its looks and customisation options. It looks like something from a Transformers movie more than a PC navigation tool. 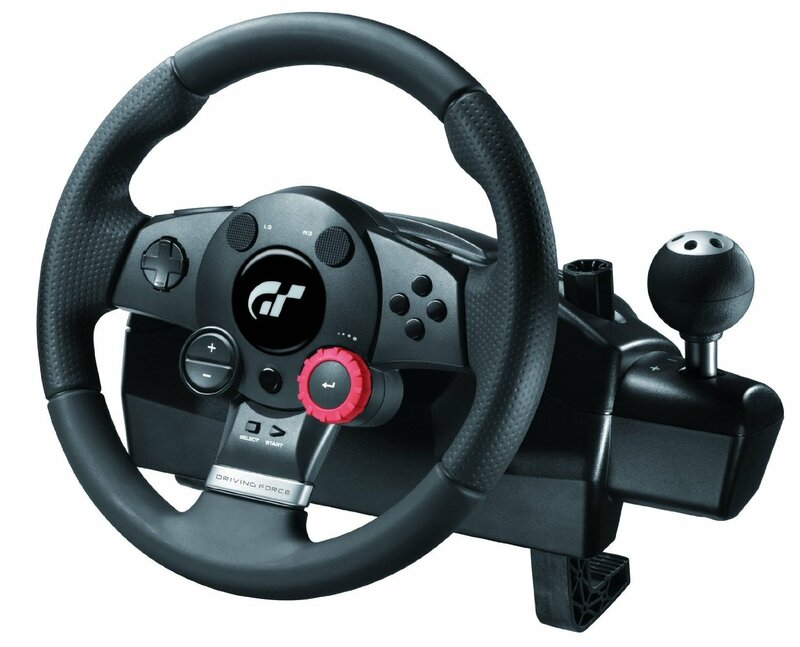 However peel behind those gorgeous looks and you have a serious bit of gaming equipment on your hands. But whilst the concept of an adjustable mouse is ingenious and gets around a whole host of issues the Mad Catz Cyborg R.A.T.7 it introduces a few new ones that prevent this from being a perfect piece of gaming kit. On to the pros first. 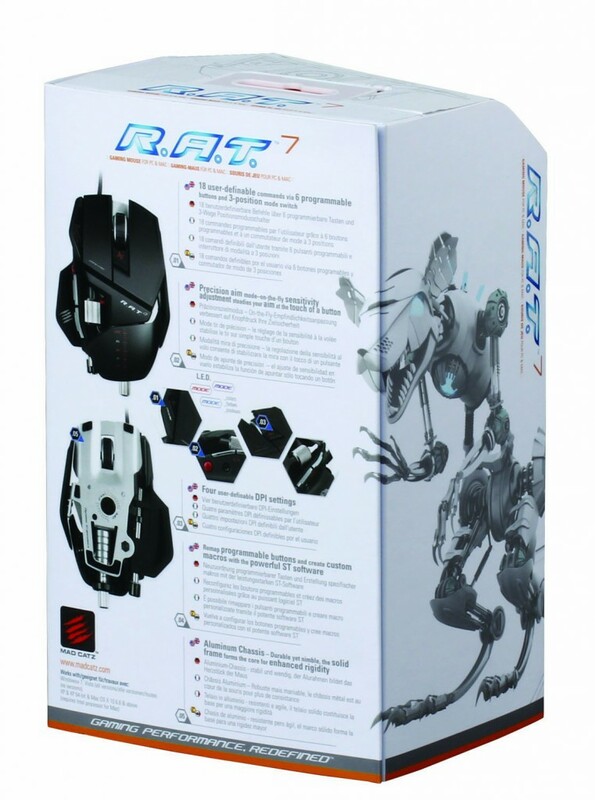 The packaging of the Mad Catz Cyborg R.A.T.7 Mouse as you would expect for an expensive gaming mouse is top notch and straight out of the box, looks stunning. It actually comes in a range of beautiful colors that keep true to its stylish cyborg theme. We personally picked up the black with matte finish – it just reminds me of the Batmobile! As I have large hands I was really looking forward to finding that perfect ergonomic fit and it did take some time but I eventually found my fit after about a week of using and tinkering with it. As my hands are especially long however, others found it difficult to use on my settings so you may want to consider how many people share your PC as you want to avoid making constant adjustments to suit each user. 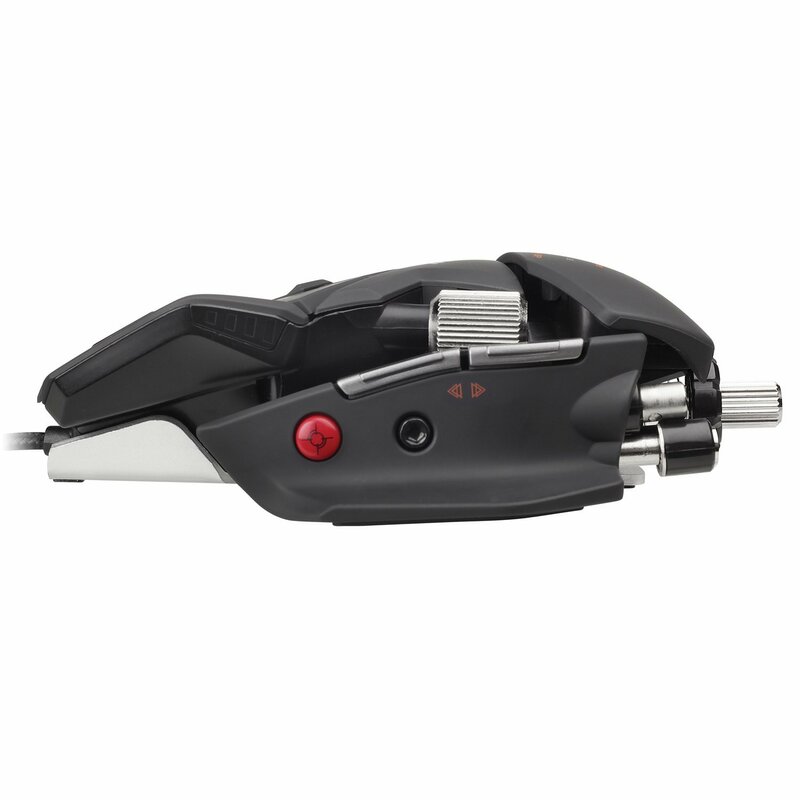 The mouse comes with an adjustable tool that is kept within the mouse and part of its design so you cannot loose it. 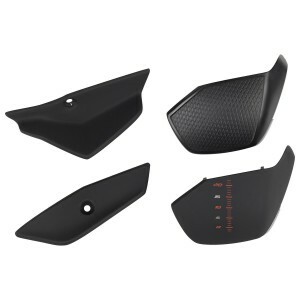 It is used for pretty much every adjustable customization option on the mouse of which there is an ambundance of. To many in fact in our view but we will come to that. The weight of the mouse can be adjusted which is very useful. This should be adjusted based on your DPI but there is no perfect formula you just have to find the right balance for you. I preferred it having a weighty feel and after having played around with it, left each 6 gram weight in there. Its very easy to make the actual adjustments but difficult to know how it should feel until you have used it for long periods. A good bit of advice is to not obsess over perfecting it immediately and constantly keep fine tuning until you hit that sweet spot. The mouse cable is braided which helps prevents tangling and there are interchangeable pinkie rests and palm rests which are a nice little touch and aesthetically pleasing. There is a huge array of customisable and re-mappable buttons. The red precision mode button on the left side of the mouse decreases the DPI on the mouse to give you greater accuracy when called for (perfect for snipers in FPS games). It may sound pretty standard but importantly the two front buttons are satisfying to click and depress and release at a perfect speed that gives you total control. The rugged scroll wheel feels nice to use and just behind it is a useful DPI toggle switch which allows you to change setting modes. 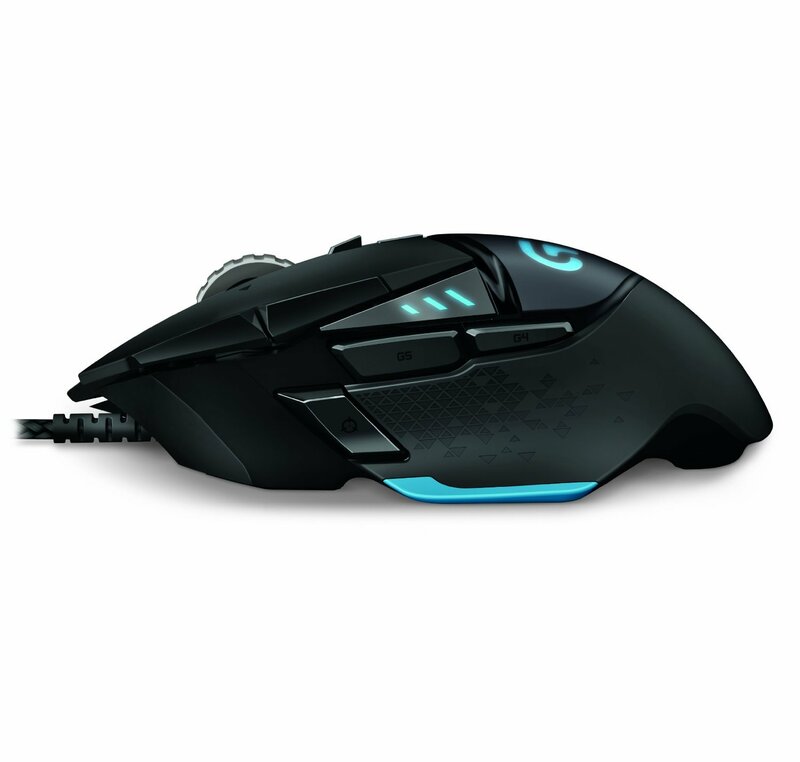 There is a light indicator on the left side of the mouse so you can see how much you have changed the DPI settings. Overall the comfort factor is a 9.5/10 – its feels so nice under the hand and the pinkie rest is a god send. The programming of the buttons can take some time to perfect but ultimately give the user and unprecedented amount of control. On to the cons, whist the build quality is good it still feels a bit plasticy for its price tag. I really dont mind that but it may bother some. Whilst the build of the mouse is good, you cant help but feel that with all the changeable and movable parts, its vulnerable should it suffer from being knocked off the desk. Its a very low profile mouse and this cannot be adjusted which is a shame because for someone like me with big hands, it means that the grip is not as firm as it could be. It’s still comfortable but it would have been nice if the profile could be raised a little. We said earlier that there are one too many customisable options and the criticism here is that the user usually will not know what is best for him/her so you could find yourself tinkering with too many settings and end up with a very uncomfortable setup. Conversely, this is a high end piece of kit and so most users should know what they want out of it. We suffered a few tracking issues after some extensive use but nothing too significant in the 4 weeks that we have had it. That said there has been some noise on the internet that they are prone to tracking issues though we are not sure if this is due to a small percentage of reports owing to faulty units or an inherent design fault. Certainly in our time with it, we experienced no significant interruptions just the odd few tracking issues which soon corrected itself. 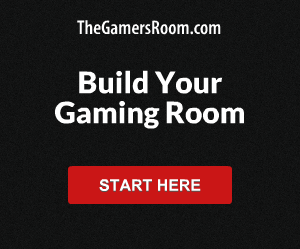 Barring the few aforementioned tracking issues, on the whole this is perfect for those looking for complete control and customisation in PC gaming. However its easy to get overwhelmed by the abundance of settings so be wary of whether this is really for you. If its is, you will have a blast with it. You can check out cheapest prices here.